This may come as a surprise, but I drink liquids other than coffee, and eat food that hasn’t been dunked in a cappuccino. Of course, my pathological need to experiment with unusual combinations does carry over to everything else that I stuff in my mouth. It was in that spirit in which I found myself with lobster and sweet potatoes, and decided to make a unique poutine out of them. 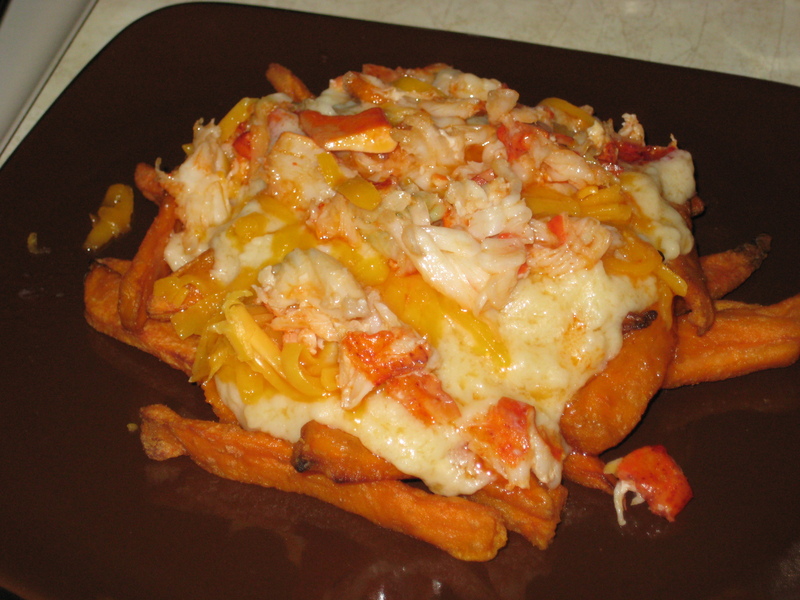 You can read more about this sweet potato lobster poutine over on this other blog. No, I don’t have any lobster left to dump in coffee; maybe next time. In other news, Cate sent me a link to these recipes using blood (probably not a good idea to click that if you’re sensitive to the red stuff). I’ve eaten some gross things, but these managed to make me a bit queasy. I’m sure blood could taste pretty good in coffee, but the instruction to “pour the fresh cow’s blood through a sieve, separating it from the clots” made me consider having a quick barf. 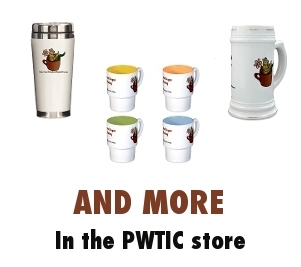 PWTIC will be back with your regularly scheduled coffee concoctions soon. Some monumental projects are in the works. Stay tuned. P.S. Remember to send suggestions and the results of your own coffee experiments to suggestions (at) puttingweirdthingsincoffee (dot) com. I draw the line at cooking with any substance extracted from a human. (Can you imagine the smell while it was cooking? Oh, was that too far? Sorry).